Racial Microagressions and Mental Health in Higher Education Institutions Presenter: Ada A. Robinson-Perez, LMSW, PH. Immigrant & Immigration Rights & Advocacy Lecture Series (video) Immigration, Immigrants & Democracy Immigration's role in the making of America s we know it and the prevalent challenges in reference to immigrants and what. 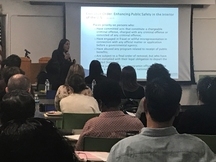 Inclusive Excellence Curriculum Development Seminar-2019 pdf In our diverse society, providing faculty with the tools and guidance to be able to integrate inclusive excellence, equity and pluralism into the curriculum is essential. This workshop examines the purpose of our biases, how we can identify bias when it is occuring in the workplace, and stategies for contributing to a more equitable environment. The Museum of Tolerance, a multimedia museum, is designed to examin racism and prejudice around the world with a strong focus on the history of the Holocaust. Challenging the Culture of Cruelty: Understanding and Defeating Race and Class Inequity in America Video In this speech, drawn from his newest book, Tim Wise examines the ways in which American politics and culture serve to rationalize inequa. Four Skills of Cultural Competence, Presented by Mikel Hogan, Ph.D. This program teaches participants a body of knowledge and skills that enables them to successfully communicate and interact in culturally diverse work settings and communities. Community Cultural Wealth & Funds of Knowledge, Presented by Luis Gustavo Giraldo, Ph.D. 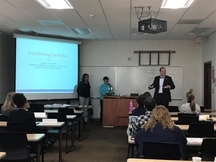 The focus of this workshop is to foster a collaborative effort between researchers and practitioners and focus solely on the dynamics and complexities of community college teaching. 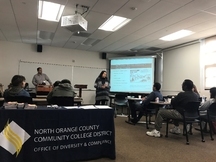 Inclusive Excellence Curriculum Development Seminar, Presented by Mikel Hogan, Ph.D. and Susan Shaw, Ph.D. 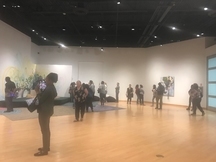 The purpose of this seminar is to provide faculty with tools and guidance to be able to integrate excellence, equity and pluralism into the curriculum. 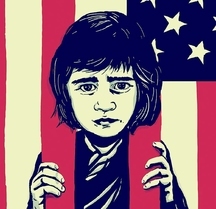 DACA, IMMIGRATION & REFUGEE RIGHTS (Video) This series is specifically designed to provide critical information on immigrants' rights, the District's responsibilities, DACA updates, current refuge/asylee policy, and community resou. Learn about the rights of undocumented students and the various ways we can serve this population. Dr. Jefferies has been working with immigrant student populations, while also teaching various courses about immigration (at CSUF). UCI Professor and immigration expert Dr. This timely, relevant topic is one that continutes to be talked about in public and private conversations all over the world.